Do you remember a Hindi slogan “Mandi mein kya? Alu. Gadha maar chalu :P”. Almost all Indians are familiar with this slogan and they had used this slogan while playing Gadha Maar Game. Gadha Maar( A kind of ball throw game) is one of the most popular game played in India. The game doesn’t have any national or international identity, local boys use to play Gadha maar game with their groups. The game is similar like a water fight and a pillow fight but people use a tennis ball to hit each other for fun. The game is so energetic and there will not be a single male in India who doesn’t know about this game. 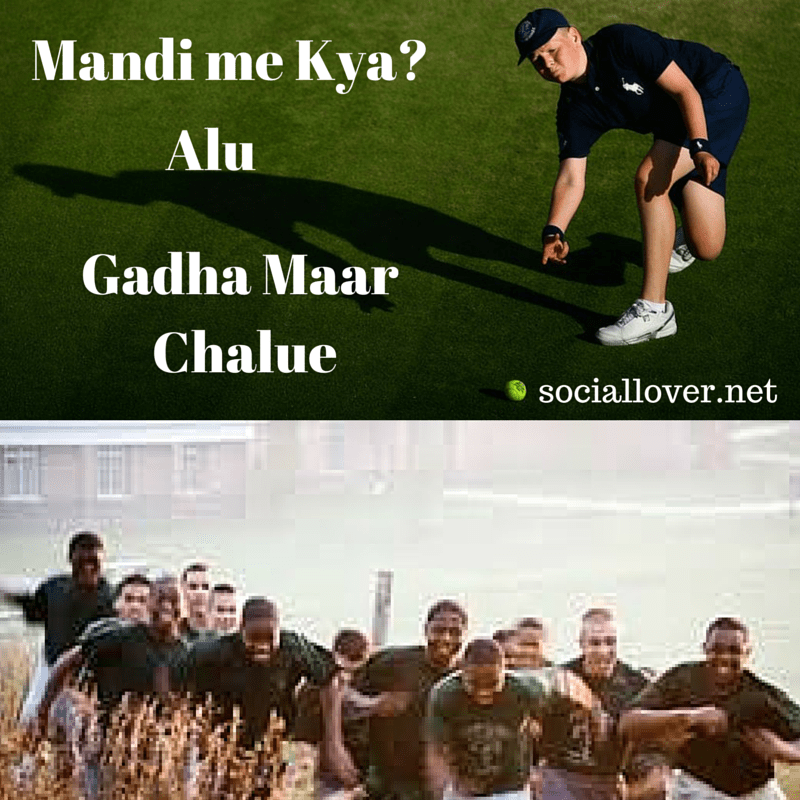 Schools, college and local people all play Gadha maar in their mean time. The amazing thing about this game is there are no rules to play it. Play freely and enjoy the game. You can play it via a tennis ball, basketball, and a football. The game has no rules and no specific requirements except a group of people. Enter the ground field and start hitting others via a tennis ball or football. Normally, people use tennis ball that is easy to handle and throw. If you are on a football court or basketball court then play it via the big balls. One who have the ball in hand has to hit others and others have to protect themselves from the ball. One who have the ball in hand has to hit others and others have to protect themselves from the ball. If a ball hits you, you will be called as a donkey. Sometimes, people play it by merging some rules like if the ball will hit you then you need to sit and can’t participate in the game till it doesn’t get over while rest continues the game without sending others outside the game. Some people set some criteria and ask others to hit below legs to protect the upper part of the body. Always play with this rule to protect yourself and others from big risks. If you have a ball in your hand and a person has touched you then you can’t him because he has made himself in a comfortable zone, you can shoot others via the ball. If you haven’t experienced the game then play and please never play it inside the home. It can cause heavy destruction.